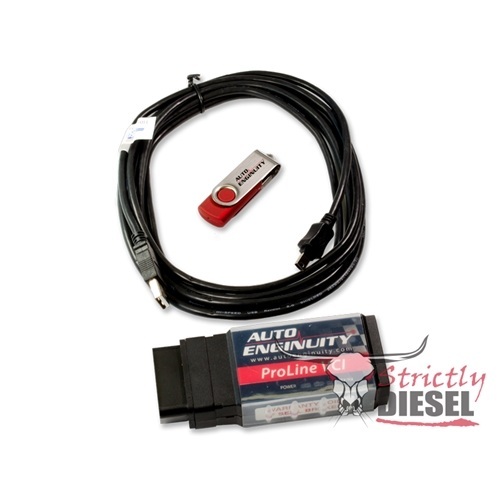 AutoEnginuity Total Ford BundleThe "Total Ford Bundle" from AutoEnginuity includes EVERYTHING YOU NEED to scan Ford Powerstroke Diesel trucks (and any other OBD-II compliant Ford vehicle built after 1994). 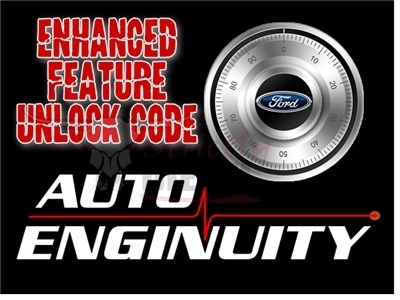 Click Link Above or in "Related Products" at the bottom of the page for complete details about the Ford Enhanced Interface that is included with this package. The "Total Ford Bundle" from AutoEnginuity includes EVERYTHING YOU NEED to scan Ford Powerstroke Diesel trucks (and any other OBD-II compliant Ford vehicle built after 1994). The Total Ford Bundle ships directly from Strictly Diesel whenever possible. I purchased this product after replacing ICP, IPR, and a FICM rebuild. 5 minutes after using this, I discovered that the original ICP was bad! I could have saved hours of labor and many $$$ if I had started with this tester. Since then I have diagnosed 4 more no start engines. I highly recommend it for everyone that owns a Ford. Excellent product at a low price that can't be beat. Ready to use after installation. Fast shipping too. Thank you, Strickly Diesel! An excellent product and offered a great assortment of diagnostic codes for my Ford Diesel that other scanners just don't have. If only the device could have somehow doubled as a programmer to tweak a few settings in the ECM and TCM it would have been perfect. But for a diagnostic tool only it would be extremely helpful to have the codes be automatically matched to a database on a laptop so troubleshooting is easy as reading the screen, as opposed to getting the codes, looking up the codes, and trying to interpret what it all means. This is a great diagnostic tool for any Ford with an ODB II port. I bought is primarily to work on my '99 7.3L Powerstroke, but have also found it very helpful on a '98 4.0L Ranger and '03 4.6L Explorer. If you have a diesel and plan on doing most of maintenance and repairs yourself, I consider this a must have tool. If you can avoid one trip to the dealer or a diesel shop for a diagnostic test, the tool has pretty much paid for itself. It was very easy to order and the communication when delivered was great. Using it was even better, it walked you through step by step and I was able to to pull all the codes. This product is great. The only thing that could be added is maybe a short training video on how to use the software effectively. I was amazed at how easy it was to figure out on buzz tests and other information though. I see this coming in handy down the road as my wife and I both own Fords and several family and friends do as well. AutoEnginuity is well worth its $. With forums on The Diesel Stop, Ford Truck Enthusiasts and Powerstroke Nation as a reference to testing results makes this one hell of a combination that is hard to beat! Thanks Strictly Diesel for making this an affordable scan tool!